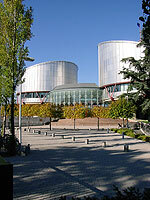 Why did the UK Violate the ECtHR’s Interim Measures? A few weeks ago, I reported on this blog – with some dismay – that the British Army in Iraq had unlawfully transferred two men to the Iraqi High Tribunal. In so doing, the UK not only violated its obligation not to transfer persons where they may be sentenced to death and executed after transfer. It also acted directly contrary to an interim measure indicated by the European Court of Human Rights. "Her Majesty’s Government take their responsibility to comply with requests from the European Court of Human Rights at Strasbourg very seriously. However, after 31 December 2008 the UK had no legal power to detain any individuals in Iraq and there was therefore no lawful option other than to transfer Mr Al-Saadoon and Mr Mufdhi to the Iraqi authorities. The Government therefore took the view that, exceptionally, they could not comply with the measure indicated by the court." The Foreign Office here repeats the view presented to – and unfortunately accepted by – the Court of Appeal. This view seems, at first sight, to follow a simple and inescapable logic: the UK is not allowed to comply, so it can’t. But that’s only half the story (as I have sought to explain – in part – in my post on the High Court’s judgment): the UK may not be all wrong in saying that it would violate international law in declining to transfer the two Iraqis. But that does not mean that it doesn’t have to. The UK has simply painted itself into a corner in undertaking two conflicting obligations; both apply, and the UK has to make a choice as to which it will prefer to violate. It will violate one of the obligations whatever it does. More specifically, the obligation to comply with the Court’s provisional measures is not conditional on the addressee State being entitled to comply under any other law. Nor does it matter that the Convention itself may not apply in the case (as the Court of Appeal and, to some extent, the High Court have held). The application may fail in the end, but the Court is still entitled to indicate interim measures to protect the efficacy of its proceedings on the merits. It follows that the European Court will not mind the fact that compliance with its order would cause legal trouble for the UK vis-à-vis Iraq. It will find a violation of Article 34 ECHR. This much is, in fact, borne out by established principle: treaties entered into by Contracting States of the ECHR are subject to review by the Court under the standards of the Convention (Prince Hans-Adam II of Liechtenstein v Germany, para 47). Being bound by another treaty to take a certain course of action is therefore no excuse if that course of action discloses a violation of the ECHR. The cases involving an attack on the grant of immunities under general international law show that the same is true, in principle, if conduct is required not by another treaty, but by customary international law: general international law does assist in interpreting the Convention, but failing that cannot justify a violation of its terms (cf. Al-Adsani v United Kingdom, para 44: the Convention controls the grant of immunity, customary law notwithstanding; but contrast the approach noted in Jones v Ministry of the Interior of the Kingdom of Saudi-Arabia  UKHL 26,  1 AC 270, paras 14, 64). It is disappointing, to say the least, that the UK would rather violate the ECHR, part of the general ordre public and the constitutional traditions common to European States, than decline what amounts to a request for extradition. Contrast with that the facts in Soering v United Kingdom, where the UK took the opposite route: that case, raised a conflict between the ECHR and an extradition treaty with the United States. There, the UK secured compliance with the ECHR by obtaining assurances from the Americans that the death penalty (which was at the heart of the case) would be neither sought nor imposed. The British Army and Foreign Office did not even try to do this much in Al-Saadoon. Contrast also the case of The Netherlands v Short, decided by the Supreme Court (Hoge Raad) of The Netherlands (reported in English at ILM 29 (1990), pp 1375 et seq). That case is pretty much on all fours with Al-Saadoon. In Short, the appellant in the Dutch Supreme Court was an American soldier who had murdered his wife, and whose transfer back to the US forces was being sought. The Netherlands was obliged to effect the transfer under the NATO Status of Forces Agreement: it did not itself have jurisdiction to try the appellant, nor to keep him in detention. Yet the appellant was likely to be sentenced to death if transferred back, so The Netherlands would have been in violation of the ECHR if they had effected the transfer. The Supreme Court was quite aware of that, and the Advocaat-Generaal (Mr Strikweerda) in particular gave an admirably full account of the problem. (Until such time as Otto may put me right on this, I shall assume that the Advocaat-Generaal is the Dutch equivalent of the Advocates-General in the ECJ or the French commissaires du gouvernement, now rapporteurs public; that is to say, he or she is not a party, but makes submissions for the correct judgment, which, for its part, will be much shorter than those submissions). The Advocaat-Generaal said that the prohibition under the ECHR applied to this form of ‘transfer’ as it did to extraditions, and explained the independence of the two conflicting treaties, i.e. the fact that The Netherlands was concurrently bound by both. He also recorded, quite rightly, that international law did not offer any solution to the conflict: the State could choose which obligation it would violate, but it would always violate one. He nevertheless offered a solution, and a very interesting one at that: the ECHR applies with direct effect in Dutch law (it is ‘self-executing’, as US law would have it); the NATO Agreement did not. The Dutch courts therefore could not apply the latter agreement, but did have to apply the Convention. For the domestic courts, there accordingly was no conflict at all. "3.4. […] The mere fact that the State has assumed certain conduct by treaty does not prevent the Dutch court from considering whether the State by such conduct violates another treaty from which citizens may directly derive rights. The interests of all concerned have to be considered. 3.5. The interest of Short not to be put to death takes precedence over the interest of the State to fulfill its obligations under the NATO Status Treaty." (1) The idea that the domestic courts cannot apply the law mandating the transfer, and thus know nothing of the conflict, applies even better in the UK than in The Netherlands: treaties are concluded under the Royal Prerogative, and therefore have no status at all in domestic law (cf. A and Others v Secretary of State for the Home Department (No 2)  UKHL 71,  2 AC 221, para 27). There is no question of direct or indirect effect; there is no effect. There is, therefore, no argument for the transfer to be drawn from the relevant treaty arrangements with Iraq. Nor does anything in domestic law follow from the argument that the duty to transfer the two Iraqis derives from Iraqi sovereignty, and the lack of any British jurisdiction to detain the two men. Customary international law is, admittedly, part of English law (cf. R v Jones (Margaret)  UKHL 16,  1 AC 136, paras 11, 57). But the obligation to hand over the persons in this case is unlikely to be self-executing, and it has been doubted that customary rules affecting private rights and duties are also automatically adopted into domestic law (R v Jones, cited above, para 59). (2) The second argument is as effective in the UK as it is in The Hague. The right to life is clearly more important than a State’s interest in complying with its obligations vis-à-vis other States. I fail to see, in particular, why respect for another State’s sovereignty should be so much more important than respect for the rights of a NATO ally (in Short) that even the right to life must stand back. After all, as already mentioned, the Convention is part of the ordre public of European States (Loizidou v Turkey (Article 50), para 48) and of their ‘common heritage of political traditions’ (preamble to the ECHR; and see Article 6(2) TEU). Moreover, the Human Rights Act 1998 has established fundamental principles in English law (cf. In re J  UKHL 40,  1 AC 80, para 44), and the Convention is in any event based also on age-old rules of English law (cf. Brown v Stott  1 AC 681, per Lord Steyn). It follows, then, that the UK has violated international law in failing to comply with the European Court’s interim measure. It further follows, not least from the analysis in Short, that faced with conflicting obligations, the UK should have chosen to comply with that order. The reasonable course, therefore, would have been to let the case at Strasbourg run its course. Of course, the English Court of Appeal had held that the Convention did not apply, because the UK did not have lawful authority to keep the appellants on its Army base (but the lawfulness of the UK’s exercise of power on Iraqi territory vis-à-vis Iraq has no bearing on whether the UK is exercising jurisdiction there, in the Article 1 ECHR sense; see my post on the Court of Appeal’s judgment). Now, it may be assumed that the Government agrees with the Court of Appeal; after all, its argument to that effect was accepted in court. But if so, the Government should simply have tested the point in the European Court of Human Rights. It should have addressed submissions first to the President of Section IV of the Court (Judge Sir Nicolas Bratza), with a view to the interim measure being revoked (which seems unlikely), and then to the Court at the merits stage. Granted, that would have taken some time, but the Iraqi authorities may well have accepted some delay; they already had waited some considerable time. It certainly seems fanciful to suggest, as the Court of Appeal has done, that the Iraqis might have invaded the British Army base to take the two men into custody. It seems even absurd that they might have done so as soon as 1 January. Of course, as it is, the Government has chosen to effect the transfer, without waiting for any form of guidance from the Strasbourg court. It has, however, communicated its reasons for so doing to the European Court of Human Rights on 31 December 2008 (see this Letter from the Joint [Parliamentary] Committee on Human Rights to the Secretary of State for Defence of 13 January 2009, p 2). On the one hand, this may be an encouraging sign that, while the UK is prepared to disobey the Court, it is not going to snub it completely. But on the other hand, this communication to the Court, which has come hot on the heels of the actual transfer in Iraq, suggests that it would have been possible to address the Court before the applicants were handed over. The fact that this did not happen points to a worrying lack of respect for the judicial process of the European Court of Human Rights. It is encouraging to see that the Joint [Parliamentary] Committee on Human Rights has already expressed concern over this sorry episode. It is much less encouraging to see that the House of Lords has on 16 February refused leave to appeal the terrible judgment of the Court of Appeal. As far as the judicial process is concerned, that means it is now left to the European Court of Human Rights to pick up the pieces. But above all, this case teaches that the judicial process is one thing, the vindication of rights in practice quite another: it is to be hoped, therefore, that the government will be more circumspect next time.